Released by Group 1 International Distribution Organization Ltd.
them, even if they aren't monster movie fans. Alligator is one of those movies. In 1968 a young girl gets a pet alligator only to have it flushed down the toilet by her father. 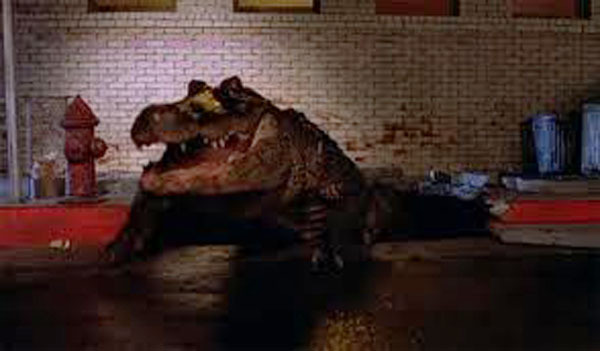 Twelve years later that alligator has grown to monstrous proportions due to a research company dumping the corpses of dogs that they experimented on in the sewer. Bodies, or rather body parts, start appearing top side and the police think that it is the work of a serial killer. They assign a detective (Robert Forester) to investigate. After loosing a fellow officer to an attack by the alligator, Forester tries to explain what happened, but no one believes him, not even the local alligator expert. It isn't until a reporter is killed by the alligator that people start believing Forester. Forester leads a S.W.A.T. team into the sewers, but the alligator is not found. 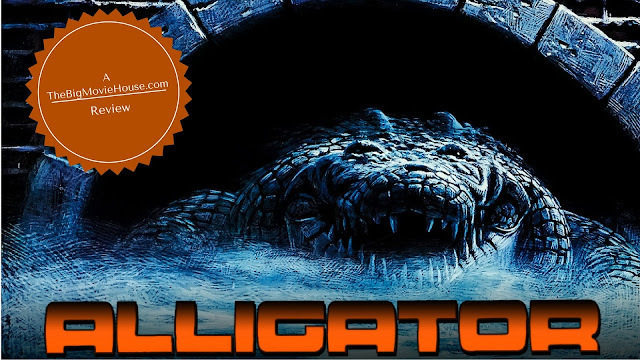 The alligator makes his way to the surface, where he kills a lot of people, including the people that made him the way he is. 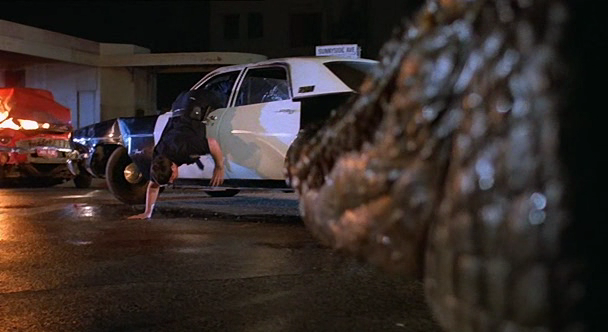 Eventually, Forester has to go up against the alligator in order to destroy it. Alligator is an above average monster movie. This is due to the conviction of the alligator. The special effects- a mixture of real alligators and animatronics- are really good. This movie was made thirty years ago and the effects still stand up. That can not be said about every monster movie. 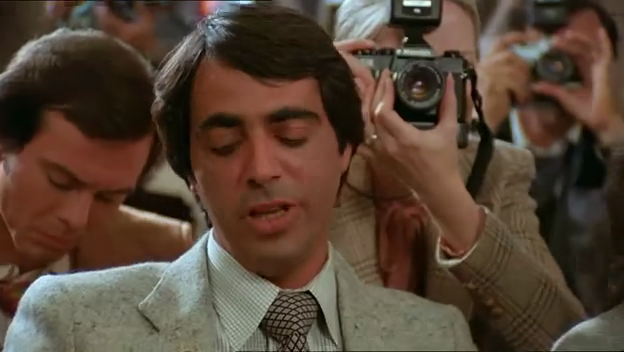 The director, Lewis Teague, goes to extraordinary lengths to make this movie seem as real as possible, but always winking at the audience as well. Teague knows his stuff and it shows. He uses all the monster movie tricks there are and making up a few as he goes along. Very rare do you see a child get killed in one of these movies, but here you do. This adds a little credibility to the movie and makes it stand out from the crowd. This movie doesn't discriminate when it comes to who lives and who dies. While the movie does try to keep things pretty realistic, there are things that keep the movies feet firmly planted in the monster movie genre. The alligator- who is as big as a car- is able to sneak up on some of his victims. Also he is able to hide in his new urban setting. There is a scene where a big game hunter, who has been brought in to kill the alligator, is searching an alley where knows the alligator is. The alley comes to an end, where a big pile of garbage is, so that is the only place he could be. The alligator pops out and kills the hunter. How the alligator was able to hide under the trash is never explained, we just buy it. Alligator is a very good monster because it takes everything very seriously. Nothing is played for laughs, and because of this the material is elevated to a higher degree of believability. This movie is well-made and thrilling.